Did Filipinos help build the Chinese islands? Let us imagine the worst of the worst of those amongst us, those Filipinos who are in business, not for the betterment of mankind, or even Filipino-kind, but for themselves. Who are a few of these despicables? Soldiers who sell arms to rebels. Filipinos who traffic in Filipino women and children. Mayors who sell their civic oath to a Binay for financial consideration. 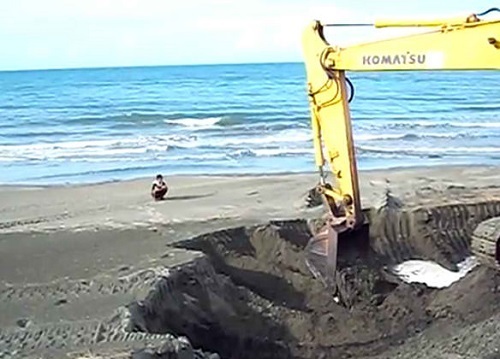 Smugglers who sell sand to China to build military islands in Philippine territory. Previous Post The why’s of sustainability series III: Why bat guano from Samar?